At yestredays press conference Emery was asked whether he would stay or leave and he said that despite having offers from other clubs like Juventus he has identified with Valencia CF and said he will probably stay and try and reach an agreement. He said there are ongoing negotiations but that his first choice is Valencia as he feels pretty much at home in Valencia. He said that its not the easiest thing to know the club is talking with other coaches, but acknowledged that its part of the job and nature of football. There were several clubs lining up for the coach in particular Juventus and Sevilla. He is obviously thought of in high regards. 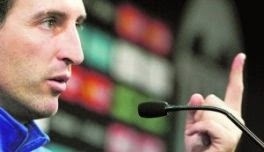 Unai Emery also stated that he wants to continue in Valencia because he thinks he and the club will improve and continue to grow and post better results. He wants to do better next season and is convinced he will do so.